Inchoo is located in Osijek, a small town in Croatia with a population of 100.000. We don’t outsource our projects. We don’t hire freelancers. We chose a strategy of building teams that work together in the office. A physical one. This means that we are hiring only from a local pool of talent. Therefore, it is very important for Inchoo to have a local community that strives to excellence. How do you manage to find so many good developers in that city of yours? You know, in New York, you can’t find a good Magento developer. Well, you are choosing from population of 8.4 million and we are choosing from population of 100 thousand. In a town of this size, only real option is to train people. At Inchoo, we already mastered training programs for rookie employees and we are quite happy with this process. Involvement in community trainings was another challenge. At the beginning of this year, Inchoo and a few other members of local Osijek Software City association started a CodeCAMP training program. The idea was very simple. 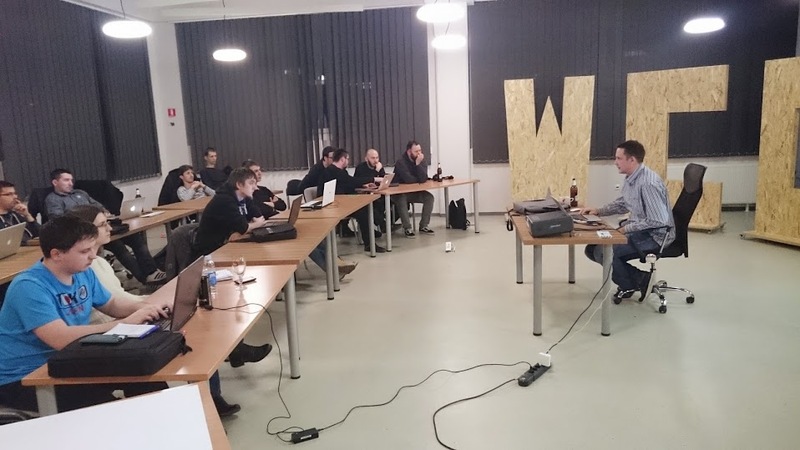 Gather the best developers in town to speak about interesting advanced topics and drink beer. In first two months (Jan and Feb), this program attracted a lot of interest. We had 8 workshops with 220 participants. There were numerous great talks and ideas shared. We already filled our schedule for March and April and we are happy that the initiative is moving on. Community got a place where we can exchange experiences, share knowledge and learn from each other. With a goal to gather technical excellence, our employees were motivated to contribute. Good developer enjoys talking with another good developer. Getting an avenue to give back is important for morale, builds collaboration and presentation skills and ultimately inspires an individual. For example, Filip said that he wishes to hone his presentation skills by having talks in front of the local community. Ultimate goal is to gain experience to stand in front of the audience at some future international Magento event. Lastly, it is also about fun. Contributing to organisation of such events refreshes a routine of everyday work and brings something new.